I am thrilled to be part of a show at one of the oldest and most prestigious galleries in Bangalore. 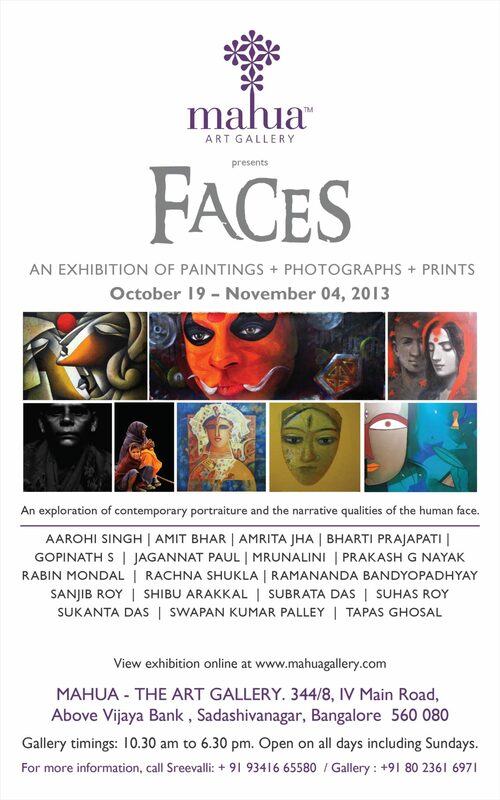 Please join me for the Group Show titled ‘Faces’ at the Mahua Art Gallery. 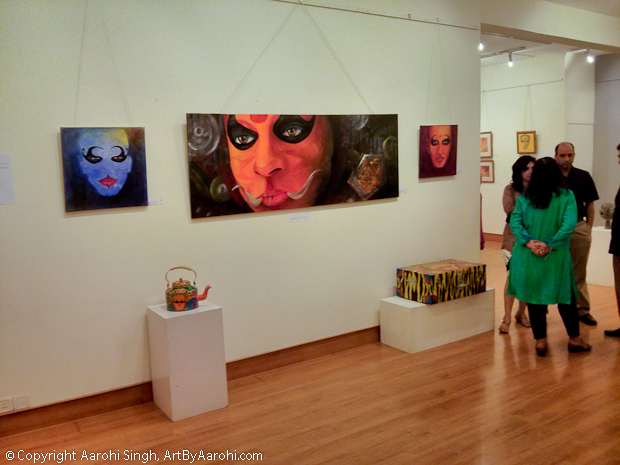 Do click here to see more images from the show. This entry was posted in Acrylics, Event, Exhibition, Happy Happenings, Portraits. Bookmark the permalink.